Why nothing is new and why that's ok.
How do I come up with original ideas and concepts for my business? Nothing you come up with is actually original. Now for some this may feel like a very negative statement and that I am crushing the creative spirit, but I would argue that recognizing that nothing we come up with is actually original is actually very freeing. It means all we’re doing at this point is playing with legos. 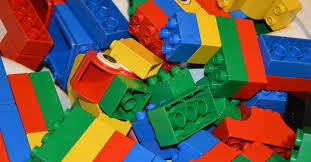 If we imagine each moment in history or idea that we have been introduced to as a single lego block, we can put those blocks together and make a car or we could make a helicopter. The person seeing the car wouldn’t argue that it was anything else and the person seeing the helicopter wouldn’t argue that it was anything else, but the same set of blocks are being used. And so it goes with our content. We find things in our lives that resonate with us and we remember bits and pieces of those things. The bits and pieces we remember fuse together to form what we consider “new” ideas, but really we’re just riffing on everything else we’ve been introduced to. Now I’m not suggesting you go out there and rip people’s stuff off, but I am suggesting that the best way to create interesting material is to allow yourself to be open to what’s out there. Your next blog article could come from a conversation you had with a friend at dinner. When we stop worrying about making something out of thin air, we can focus on listening and finding the stories all around us. You’re not going to make anything “original”, but you’re going to make something good. You just have to be willing to play with some legos.